Week in Gaming: Cheating has died out, but why? There's a really good test for determining which generation a person you're talking to comes from. If you say "rosebud", what do they think of? If it's one of cinema's greatest plot twists then they're probably over 40; if it's the money cheat in The Sims, they are most likely a child of the late 80s or early 90s. Cheats have fizzled out in recent years, and it's difficult to pin down the reasons why. Is it because modders and game hackers already have their ways of circumventing problems? Is it because games often have an online multiplayer component, and cheats wouldn't be fair? Is it just because games are easier now? I think it might be to do with how games are designed now, and partly just a product of the time. Cheats were something exciting and rare in the early 2000s, and technological advances have made it less of an Indiana Jones-style gauntlet and more of a boring search-engine slog. When dial-up was still around, a search for cheats would require navigating the baffling Ask Jeeves site, working out how to print, making sure it was quiet enough that your parents wouldn't realise you were printing out an entire manual's worth of game guides because it probably cost them a week's food budget in ink, and then having your efforts thwarted by your sibling using the phone, cutting you off from your precious supply of game codes. So to find out that Final Fantasy 7 on iOS has a cheat menu that can max out your characters' stats at any time, and that Rare Replay - featuring games from as far back as 1983, before your parents even owned a printer - also has cheat codes and a rewind feature - well, it just feels a bit weird. It doesn't fit with how we play games today. At some point, developers just stopped using cheat codes. 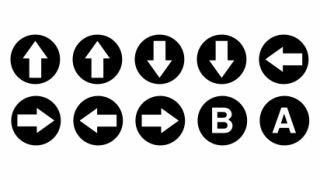 Cheats in the early days of gaming, from the Konami Code to frantically copy-pasting "rosebud ;!;!;!;!;!;!;!" to max out your Sim family's funds, cheats existed to make a game more fun, more exciting, and often more accessible. They were cheats in the literal sense of the word, sure, but they never felt like you were cheated out of an experience; they were part of the game. And who could forget how much fun the flying cars cheat in GTA 3 was? Now, games are already pretty accessible. We have tutorials - they didn't exist in a lot of older games - and manuals, online guides, tips, tricks, exploitable bugs, mods, hacks, replenishing health, and so on. When games became bigger, so did their scope, and that's why it's so difficult to imagine using the Konami code in The Witcher 3 to give Geralt maximum damage or - I don't know - a big hat. What would be the point? Games like that are built to be explored in their virgin state, and their difficulty is part of the story and the experience designed for you by the developers, not a system to be bypassed. But the argument could easily be turned the other way around. Say a child picked up Final Fantasy 7 on iOS, and found it complicated, off-putting and time-consuming - it isn't hard to imagine a JRPG being any of those things. Should we force the young mind to play it the way we think it should be played - the way we did? Or is it fairer to give them the option to soften the game's sharper edges for an easier introduction to one of the best series of all time? Maybe games are getting soft. Maybe they're all too easy, too forgiving, too accessible - but have you ever tried playing The Sims without some kind of money cheat? It's just real life, and real life is boring. Bring on the cheats, the mods and the hacks. Let's keep avoiding reality.